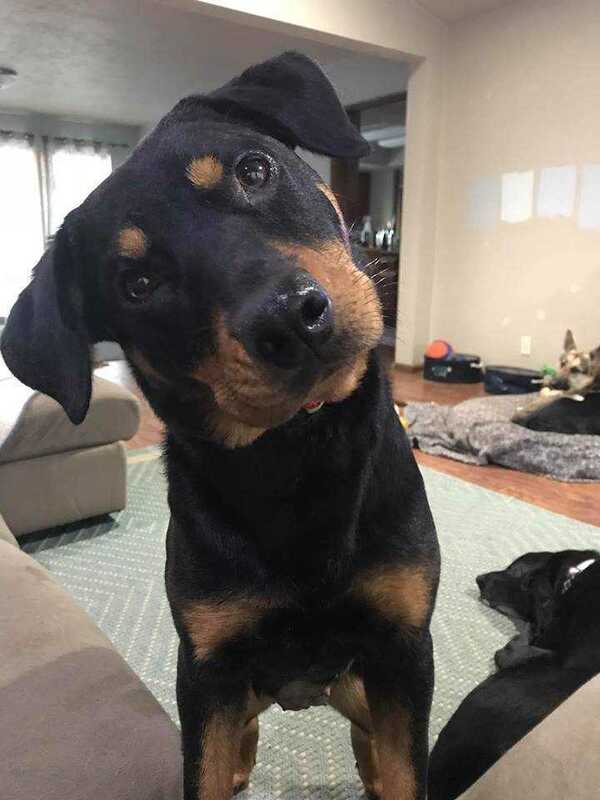 Meet 6-8 month old Lady, rottie type mix. She came to us from Fresno area and was being surrendered to the CCSCPA. She was being hidden in an apartment but landlords found out. She came in timid and shy, especially of men. She does warm up just needs a little time. No fear of woman. Playful with other dogs once she warms up she loves to run. She is medium energy at most. She is great in a crate-doesnt make a peep, doing well with house training as long as she is given potty breaks. She likes toys and treats- very food motivated. In foster with large and small dogs, and cats. Fine with dog savvy cats but also wants to initiate play at times. She has lots to learn but she is wanting to please her people. She has a docked tail, rottie build but on the small size- we are calling her a mini rottie since she is only 45lbs and won't get too much bigger.